We have launched a consultation for a byelaw to raise the minimum landing size to 110mm. The aim of this byelaw is to help sustainably manage fishing for this species. A copy of the byelaw can be found here . All responses must be received by the 7th May 2019. The Isles of Scilly IFCA will be introducing a new byelaw that will ensure improved fishing practices for hobby fishermen. The byelaw will require all hobby fishermen to have a tag on their marker buoy. This new byelaw was agreed by the Committee in 2016 as a sensible and proportionate measure for all resident and visiting recreational fishermen. The aim is for us all to have a more informed understanding of all fishing that is taking place around the islands and ensure a sustainable future for all commercial and hobby fishermen. Over the next two months we are keen to hear about any questions or concerns that you may have about how it may affect you. We are also open to ideas about how this new requirement is implemented. Please see this update for more details. 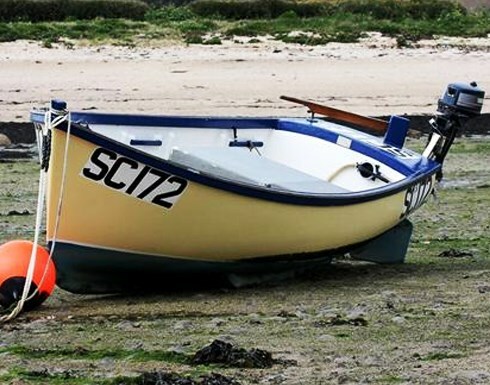 For over forty years, the Isles of Scilly IFCA has had a 'fishing gear permit' byelaw which has helped to ensure that our district is fished sustainably by limiting vessel size and types of gear that can be used. The current byelaw was made in 2013 and it is best practice to review byelaws every five years to ensure that they meet their objectives. Over the next two years Scilly IfCA will be reviewing this byelaw with an aim of ensuring that we can continue to sustainably manage fishing activity in our district. Our first step will be to engage with all stakeholders through workshops and meetings. This should give us a clearer idea of how our byelaw can operate most effectively. We intend to build on our knowledge of catch landings and current market prices to have a better understanding of the socio-economic value of fishing in Scilly. This would include vessels that operate in Scilly and are based elsewhere. We will also be gathering information on types of fishing that are used in our district and where they overlap. With support from Cornwall IFCA we are going to carry out various subsea accoustic and video surveys which will be undertaken within our six mile limit. These will provide insight into the deeper sea habitats and their current condition. Do get in touch with us if you have any comments or questions about the review process. 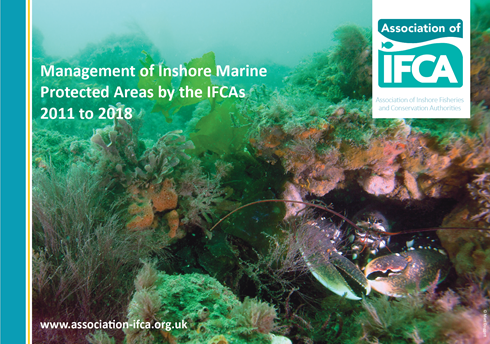 Isles of Scilly IFCA provided support for a team from Natural England who were looking for two rare species – stalked jellyfish and giant gobies. Stalked Jellyfish are unusual in that unlike most jellyfish species, they have no free-swimming life stage. Adults attach upside-down to seagrass and seaweeds and feed by waving their tentacles to pick up particles in the current. Giant gobies are at the northern limit of their range in Britain so are a rare find in our waters. They are the largest goby species found in Britain, growing up to 27cm. This species live in rock pools where they can tolerate the high range of different temperatures and salinity. Their diet ranges from seaweeds, invertebrates such as shrimps and other fish. The team from Natural England successfully found giant gobies in the Men A Vaur to White Island MCZ and three different species of stalked jellyfish in the Penninis to Dry Ledge MCZ and Higher Town MCZs. It is great for us to build our knowledge of these rare and overlooked species – they remain faithful to very small areas so future surveys will look to ensure that these species continue to thrive in the waters around the Isles of Scilly. Dr Emma Sheehan and Dr Luke Holmes were on Scilly last week to do some surveys in collaboration with the Isles of Scilly IFCA. They have brought with them an impressive range of kit for a short research project that has been funded by Natural England. Working across our Marine Conservation Zones we are looking at different technology and techniques that will enable us to monitor the health of our marine habitats and key species and how they might change in the future. Using a video camera towed across the seabed enables us to cover much larger areas of seabed at depths that would not be easily accessible to divers. Below twenty metres or so, the kelp and thong weed give way to a rocky landscape of boulders, cliffs and chasms encrusted with sponges, ross coral and gardens of jewel anemones. ‘Flying’ the camera behind the boat at very low speeds works well when the seabed contours are fairly consistent, but the rugged underwater has proven really challenging for the team to survey. The other technique that we have been trialling are baited video cameras. We used pieces of mackerel in a wire feeder attached to a short aluminium pole. Sitting still on the reef for between 30 and 90 minutes, a video camera in an underwater housing records the animals that come to feed on the bait. This method enable us to count the numbers and type of species that we see on the reef. Dr Sheehan has been surveying reefs across the UK for over 15 years and believes the reefs on Scilly are in the best condition that she has ever seen. The activity in front of the baited video cameras was incredible, with species such as bull huss, spiny lobster and other crabs competing for the bait. The Bristows to Stones is the only MCZ that is not within the main islands, extending out from between three and six miles offshore around these two main reefs. Some of our initial surveys seem to indicate that the reef habitat may extend a great deal further from where it is currently mapped. In the future we hope to build on these surveys to build up a picture of what is happening on the reefs and other marine habitats around Scilly. Ultimately we need to keep our finger on the pulse and ensure that the environment remains healthy and resilient.